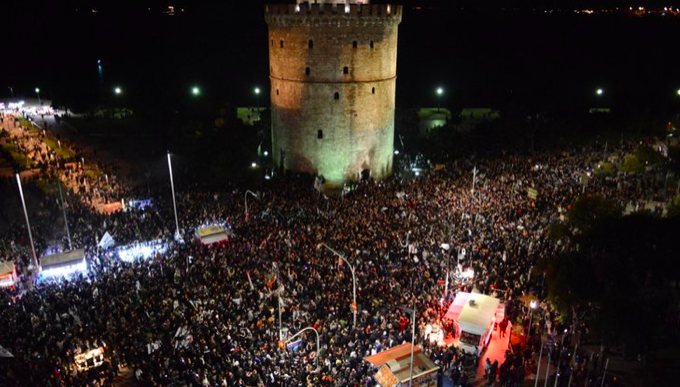 The city of Thessaloniki honoured the memory of its Holocaust victims with a silent march on Sunday. 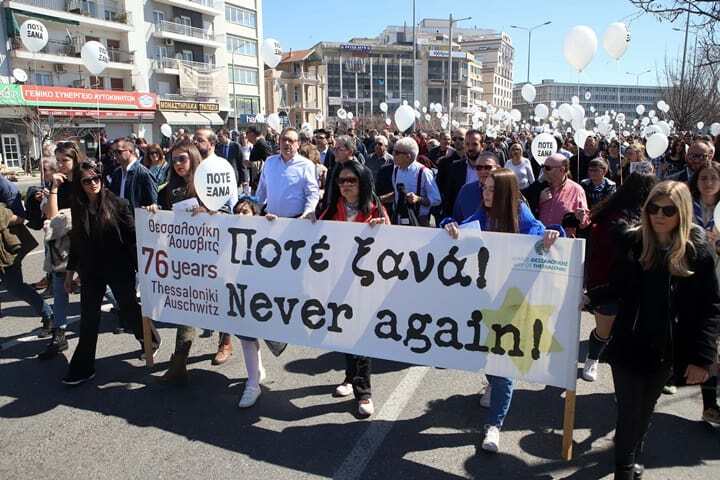 The march started from Thessaloniki’s Freedom Plaza to the city’s old railway station to mark the 76th year since the departure of the first ‘death trains’ carrying Thessaloniki Jews to the Auschwitz-Birkenau concentration camps. 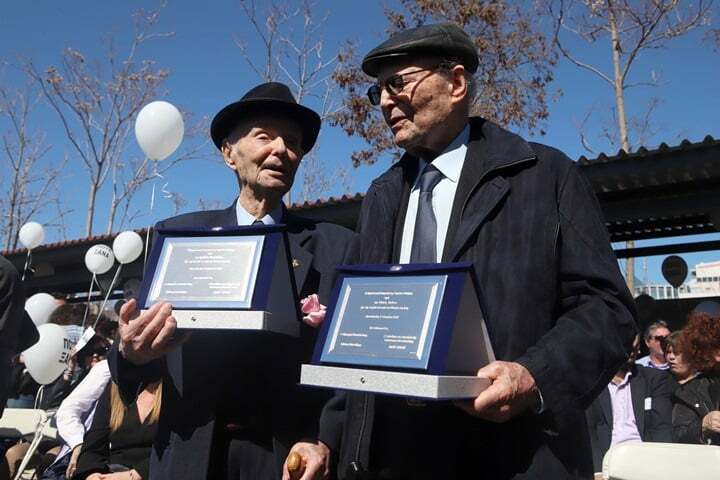 Hundreds of citizens walked in silence, carrying white balloons bearing the message “Never Again”, while the march ended with a memorial ceremony organised by the Thessaloniki Jewish community, the Thessaloniki municipality and the city’s universities, during which a tribute was paid to camp survivors Heinz Kounio and Achilleas Koukovinos, a former resistance fighter aged 100 years old. 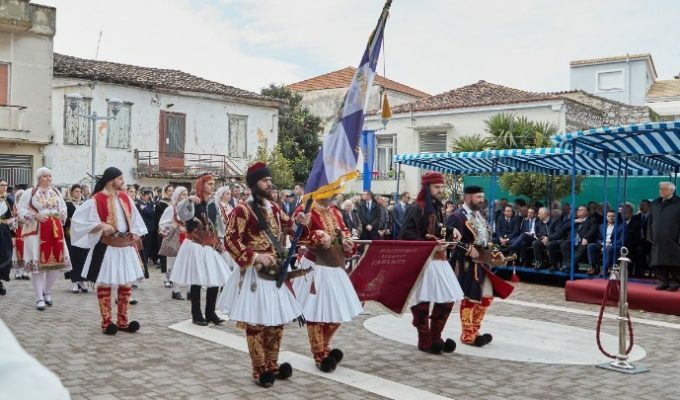 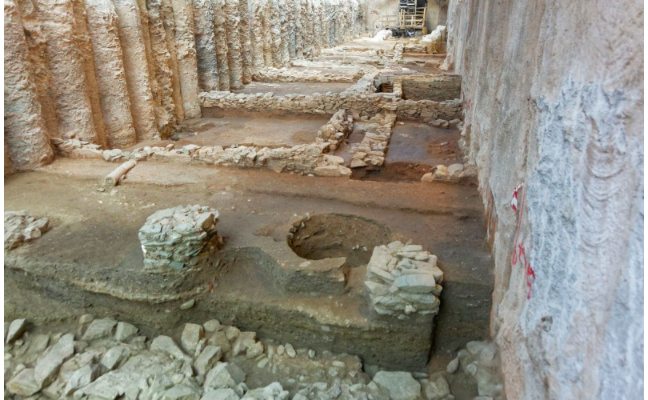 Students of the Thessaloniki Jewish School planted an olive tree at the site and sang, while the grandson of a German soldier in Thessaloniki, Juergen Jauch, apologised for the atrocities his grandfather had taken part in. People in the march then dispersed, after depositing flowers on the tracks.